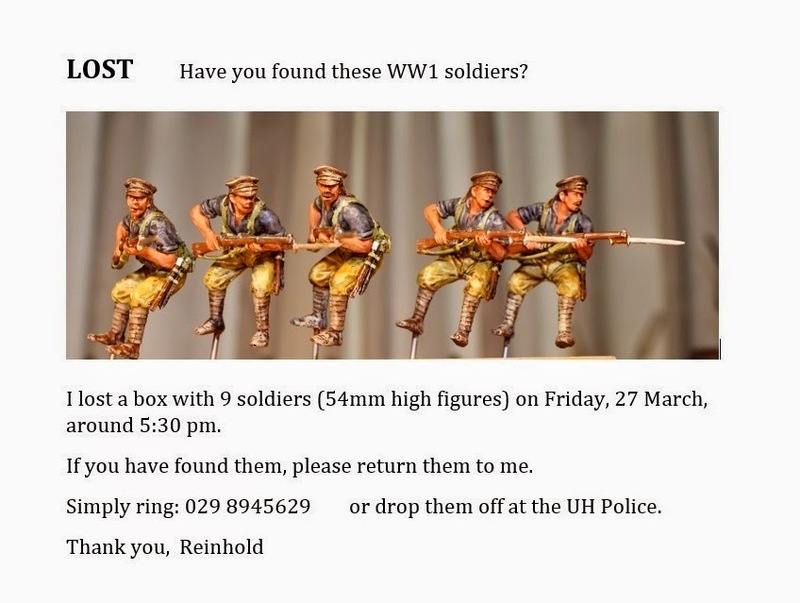 Last week, one of the Hutt/Tawa painters, Reinhold, was transporting nine New Zealand figures he had just finished painting. Whilst putting his gear into the car, he placed the box of soldiers and a wooden stand on the roof and (gulp!) forgot about them as he drove off. 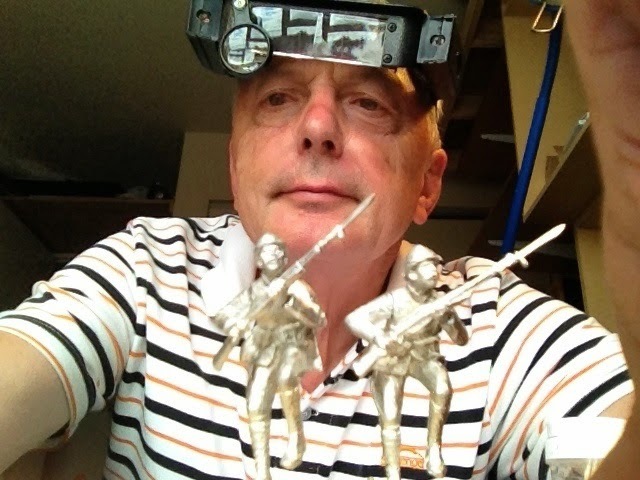 Two hours later at the Marklin Model Railway Club, where he was to show the soldiers that night, he realised the figures weren't in the boot. With horror, it dawned on him what had happened. Immediately he went back to find them, but it was already dark. All he could find was the wooden stand. Next day he searched again, with no luck. He even went through the rubbish containers as someone might have thrown the box in the rubbish - nothing! On Monday, he designed and printed 40 flyers, went along Ward Street and put flyers into letterboxes and onto power poles. That evening, a young chap rang: "I found your soldiers. Good that you put that flyer in my letterbox." First thing Tuesday morning Reinhold picked up his soldiers undamaged, much to his relief. He gave the young chap who was living in a simple flat a cash reward. Tuesday evening he was able to deliver the nine Kiwis, plus another ten he had finished, to his team coordinator. A good kiwi story that. Well done.